This week to kick off the holiday season I visited GLOW Salon in Watertown to try their brand new Red Light Therapy service. They are one of the only places around that offer a full body RLT service. I had never tried RLT and was super excited to check it out. RLT is a proven collagen stimulator and can help with acne, fine lines, cellulite, and overall healing of the skin. It also helps with muscle recovery, so if your planning to go hard at the gym this week to burn off all that turkey make yourself an appointment! When I got the the salon I was greeted by GLOW owner Jenna, she was super informative and friendly. The Red Light Therapy machine is super easy to use but Jenna took me through the whole thing to make sure I was comfortable operating it. The service is only 12 minutes so it’s the perfect little pick me up. The coolest part in my opinion was the vibrating plate you stood on. It has 4 different levels and the vibration actually burns calories! I only went up to level 2 but will definitely go higher next time. It felt warm and refreshing which is perfect as we head into the colder months! GLOW also offers a range of other services that I definitely would recommend checking out, the holidays can be stressful so I’m a big fan of self care this time of year! Thank you so much to GLOW for having me, be sure to follow them on Instagram! Tucker Blair has always been one of those companies that I obsess over, they are so classic and preppy, how could you not love them? 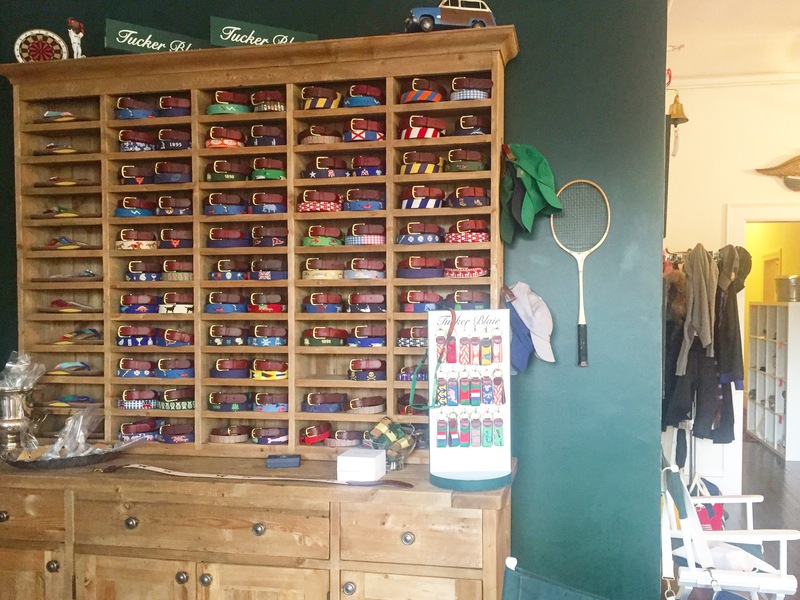 You may not know that their showroom is tucked right in Beacon Hill. 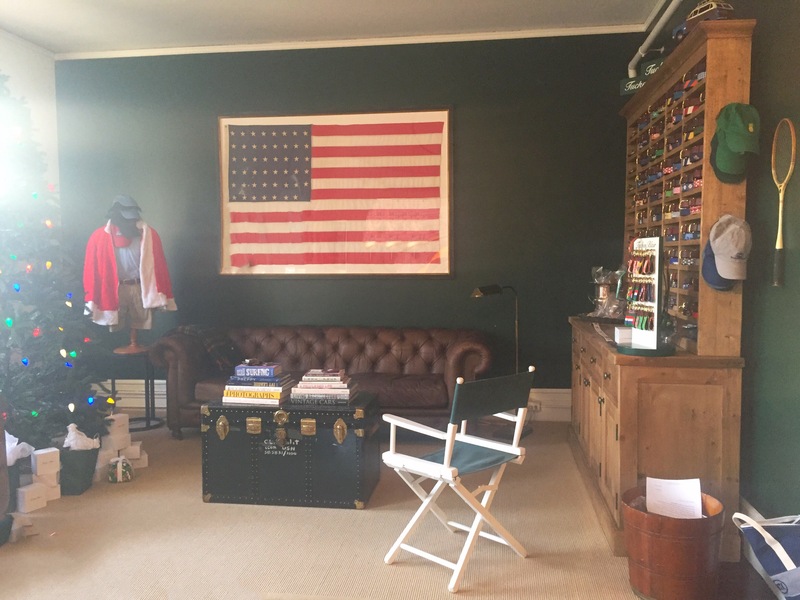 This week I had the opportunity to visit the showroom and check out some of their latest products. Tucker Blair has traditionally done Men’s accessories but have really expanded their selection for women. 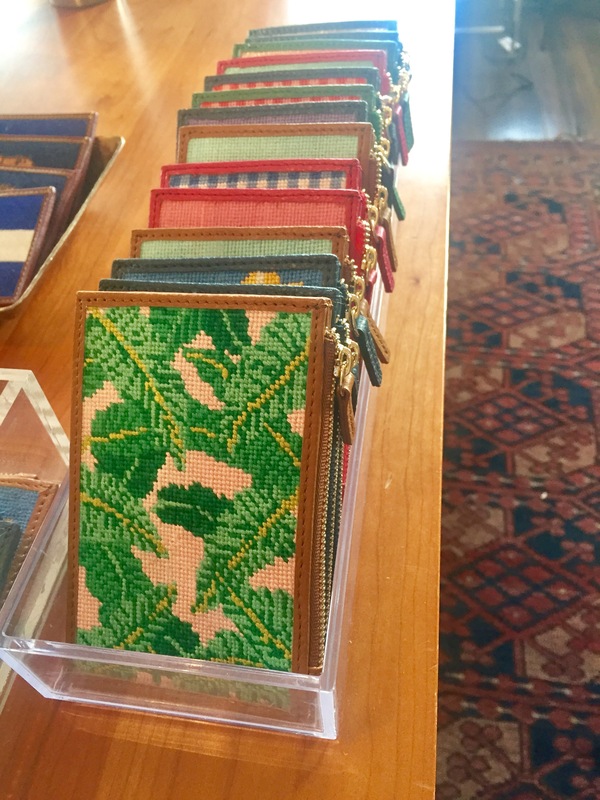 I am so excited about their new Ladies Blair Wallets, these are so perfect and would make a great gift for any girl in your life. 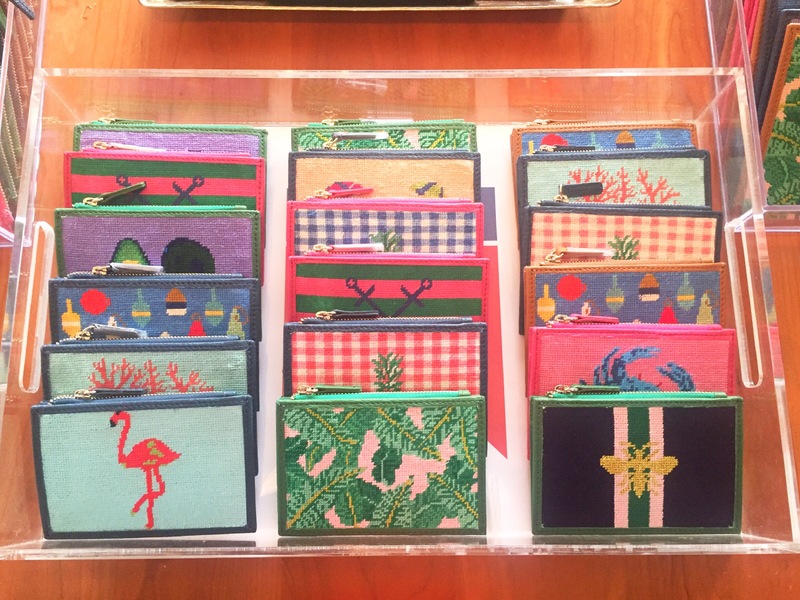 I am in love with this banana leaf wallet! I encourage all the ladies out there to put this at the top of your Christmas list! 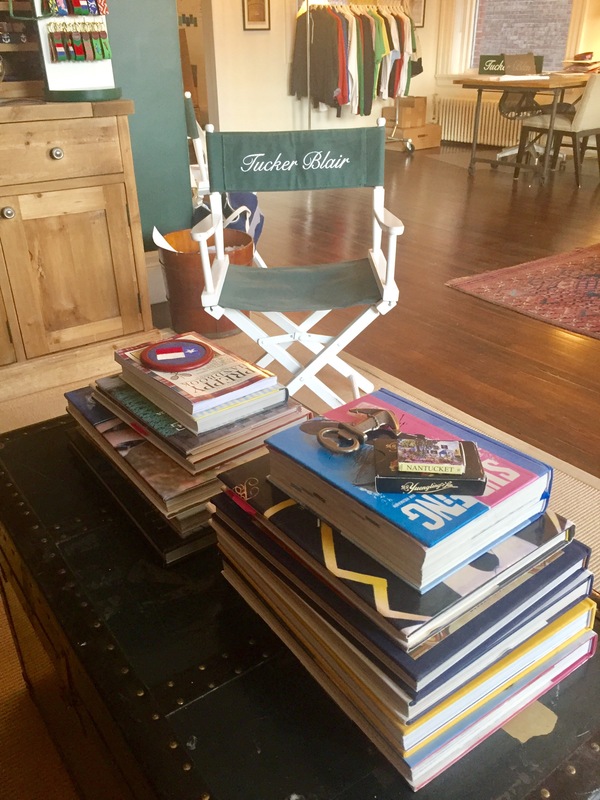 Tucker Blair is such a fantastic company! They truly believe in quality above all else and they really care about their customers. I was so happy to check out the adorable show room they have here in Boston. 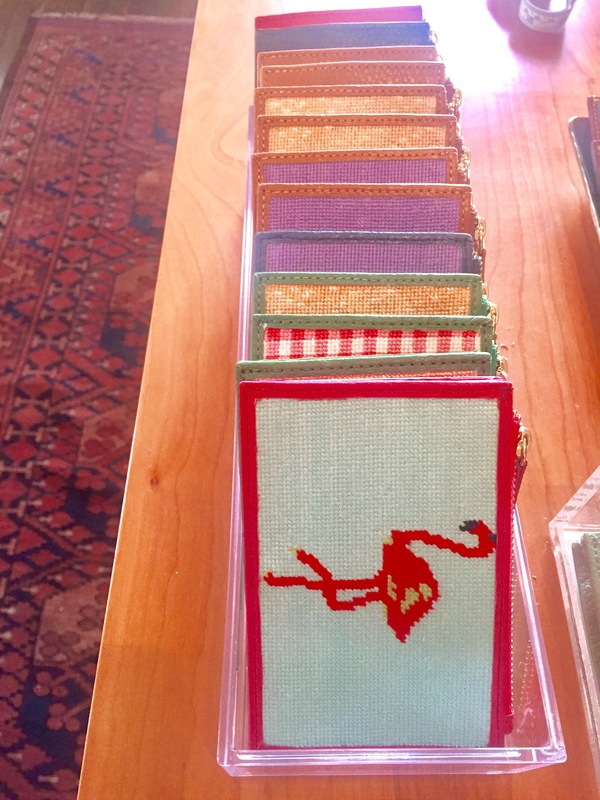 Needlepoint accessories are a staple in any preppy closet. Need some stocking stuffers? 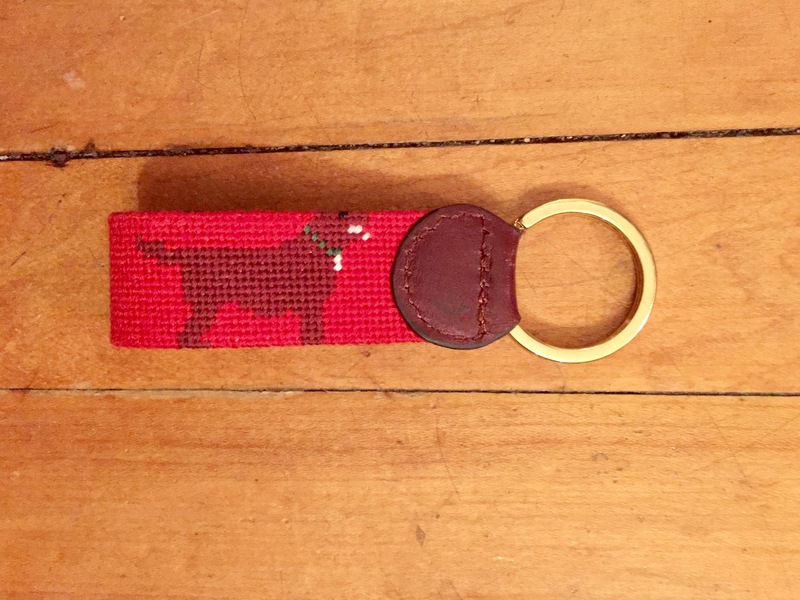 Pick up a Needlepoint Keychain! 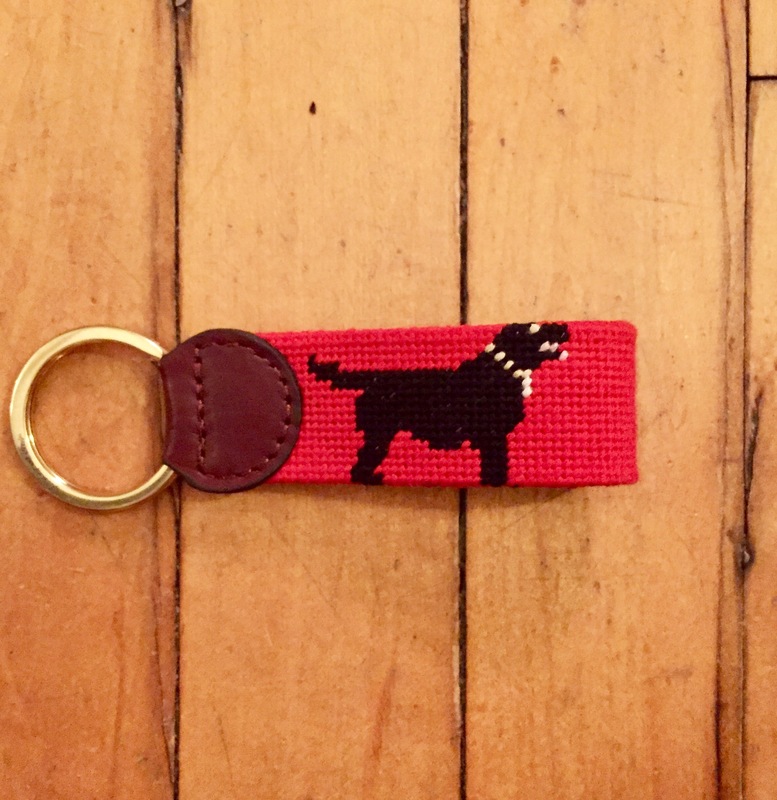 I got the red Labrador keychain to match my puppies. One of the first Tucker Blair items I ever owned was a needlepoint sunglasses strap. With so many fun patterns these make another great stocking stuffer for anyone. Merry Christmas everyone, I hope there is something from Tucker Blair under all your trees Christmas morning. I have never been a huge fan of Black Friday. If I am being totally honest I normally wait for the after Christmas sales to shop for myself. But right now J Crew is doing 40% off EVERYTHING! They never do that much off, ever! I have been drooling over several of the coats they have on their website right now so I took advantage of this great sale and got myself a new coat. Definitely check out this sale while it’s here. Use code HOLIDAY at check out! Happy Thanksgiving everyone! This year I am thankful for all the support I have received while starting this blog. Happy shopping! Port of McCall Watch Co.
As we head into the holiday season I am in constant shopping mode! I have already started my list of what I am getting for various people on my list, and a new Port of McCall Watch makes the list a few times! If you haven’t heard of Port of McCall Watch Co. they are a new company that designs high quality adorable watches! I love the canvas strap because it allows the watch to be dressed up and styled for a more casual day to day look. I’m so excited to give these as gifts this Christmas! I think that watches make perfect gifts for everyone and anyone. And with the different options for straps provided by Port of McCall you can find style watch that your dad, little sister, and cousin will all like! I highly recommend a Port of McCall watch, if not for someone on your Christmas list then for yourself! Use code #PORTOFMcCALL for 25% off your order! Watch c/o Port of McCall Watch Co.